These WEBSITES are designed for general information purposes only. The information presented on These WEBSITES should not be construed to be either formal legal advice or the formation of a lawyer/client relationship. Again, the information presented on These WEBSITES should not be construed to be and is not formal legal advice. Also, again, no attorney-client relationship exists and no attorney-client relationship is formed or created by any posting or any response on any of These WEBSITES. 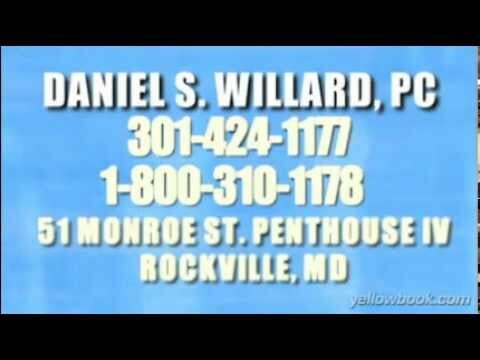 We practice law only in Maryland and the District of Columbia. If you have a legal problem that arises in Maryland or the District of Columbia or your home or business is in Maryland or the District of Columbia, and you have a legal problem in one of our practice areas, and there is no ethical conflict, we may be able to provide legal assistance. We are licensed to practice law only in Maryland and the District of Columbia. We may not, and do not, provide legal advice as to the law of any jurisdictions other than Maryland and the District of Columbia. No endorsement exists or may be or should be implied as to either (a) any third party or (b) the “information” supplied by that third party, including but not limited to reference to that person or the “information” supplied by that third party and posted on or referenced on These WEBSITES or through that or another third party’s website. False information. A great deal of content on social media, including but not limited to the websites of those posting on other social media sites (collectively, “information”) is false, misleading and/or offensive and must be viewed at the reader’s peril. Information and identity hard to confirm: risk of civil and criminal fraud. Persons on social media are not verified to be who they claim to be and, for your own safety, you must assume and act as if there are many operating on social media who are making their postings and seeking to contact you with the intention of committing civil and/or criminal fraud and/or mayhem. Neither I nor this office can or do make any endorsement or representation of any kind — including but not limited to the character or truthfulness or professionalism or even identity — regarding any person whose interaction with me or this office is portrayed on any social media site or this site — including but not limited to those designated as “following” or “followers”, “friends”, “likes”, in “circles”, etc., — and no such endorsement or representation of any kind — including but not limited to the character or truthfulness or professional stature or even of identity — is being made by me or this office or may or should be implied. No person becomes my client or a client of this office until a written, mutually agreed retainer agreement has been signed and an initial retainer payment has been made to this office. Unless/until there is such an agreement and such a retainer payment, you should be absolutely certain that you may not act or refrain from acting in any matter as if you have received legal advice from me or this office or as if you are a client of mine or this office. I meet each client in person in the office prior to signing a retainer agreement and/or require multiple forms of identification to confirm a potential client’s identity. Unless you have met me in person to sign an agreement and make an initial payment, you must assume that I have provided you no legal advice and that you are not my client. This process also protects my clients because they know that until these steps have been taken, the legal meter has not begun to run. — Dan Willard, Daniel S. Willard, P.C.